A native Chicagoan, Rene was taken with music as a child, especially upon first hearing Herb Alpert’s classic instrumental tune, “The Lonely Bull.” Rene’s penchant for composing instrumental music is rooted in these early beginnings. He still maintains a deep admiration for Alpert’s accomplishments, which include great popular success as well as the founding of his own label, A&M. A common thread from childhood to today is Rene’s love of dramatic and sweeping movie scores. Early on, Errol Flynn swashbucklers and historical movies captured Rene’s musical ear and along the way, he has been enthralled, captivated, and influenced by great movie score composers, like John Barry and Hans Zimmer. Another important influence was his grandfather who played guitar, violin, and saxophone – self- taught on all. Of a large number of grandchildren, Rene was one of the few to express an interest in music. Starting on theater organ at age five, he studied throughout high school, transitioning to piano in college. At both the American Conservatory and Sherwood Conservatory in Chicago, Rene studied under the late Harry Davidson, a man who would have the greatest influence on his playing. In recent years, Rene has become increasingly intrigued by orchestral percussion, and has familiarized himself with and incorporated these elements into his music. Before establishing himself as a solo artist, he performed in several regional rock bands like White Gold, Kingdom, Wizard and Raven. In 1995, Rene started Polyphony Music and released UPON THE THRESHOLD; FOR IT IS WRITTEN (1998),POET OF THE HEART(2000), PIANO KEEPSAKES(2003)and Soulmates (2004)followed. Rene has also contributed music to many video soundtracks including Meditation with Victoria (2001), Yoga/Stretching with Victoria (2002),and Art in the Park-Elmhurst, Illinois (2003). This CD is a treasury of popular classical and Broadway melodies enhanced by Rene's own elegant original compositions. Blending piano, cello and light orchestrations for an unmatched mood of warmth and relaxation, this is all-instrumental music that never grows old with repeated play. Selections by Chopin ,Satie ,Debussy, Andrew Lloyd Weber and John Barry evoke a special place and time in the imagination, but Rene's original pieces fit seamlessly alongside. Accompanied by cellist Matt Agnew, Rene's arrangements are both clever and smooth; just listen to how he melds "Clair de Lune "into "The Music of the Night," or "Somewhere in Time "with his own "Love for All Seasons "and "Share the Moment. "But perhaps the most stirring of such medleys is Rene's brief evocation of "Amazing Grace "that leads into what is arguably one of his most brilliant tunes, "Anam Cara (Soulmates);"this track demonstrates Rene's consummate ability to transform the familiar into the remarkable, and then both heighten and deepen the listening experience simultaneously through his own creative vision. "My inspiration and the process can vary," Rene admits, “the arrangement usually develops around the theme or the melody. Once the framework of the song is created, I experiment with textures, orchestration and counter-melodies. The primary objective for my writing is that I have to be moved emotionally in order to touch and move my listeners - as in a novel, the ability for music to tell a story is the intrigue and enchantment that I strive for in my compositions." SOULMATES, then, is a timeless tale of love and romance as told by a consummate storyteller. Coming Soon- prepare to experience the enchanting, romantic, soothing sounds of Rene. 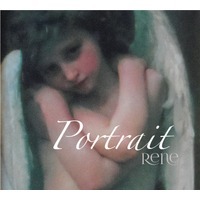 Rene’s soon to be released CD, entitled “Portrait” is a collection of romantic piano ballads filled with the gentle and melodious themes that have become his signature style. Spanning 18 years of exploration, “Portrait” paints a chronology of his finest musical moments. Rene has drawn inspiration from life and travels to reveal yet another facet of his art; with a sophisticated Euro feel, the new tracks will please and delight. Every once in a while, two very fine artists come together to create magic; this is true of Rene and his favorite cellist, and especially true in “Portrait.” Joining him once again, after nine years, is Matt Agnew, accomplished principal cellist with the Elgin Symphony Orchestra. SOULMATES and other Polyphony Music recordings are distributed nationally /internationally.